Labeled “draconian” by both sides, the White House sanctions over Russia’s alleged involvement in the poisoning of the Skripals in the UK in March will be applied in two steps. On August 22, an initial restriction on exports of security-sensitive goods will come into force and, unless Russia assures the US that it has stopped using chemical weapons (which it denies in the first instance), more severe restrictions will be introduced 90 days later. These include a potential moratorium on national carrier flights to the United States and an almost complete import ban. Dmitry Medvedev on Friday promised a “political and economic reaction,” but what can Russia do? Gilbert Doctorow, a Brussels-based Russian affairs analyst, says that the US, particularly with the second proposed round, is threatening to “go for the jugular” in a way it has not during any of the previous acts of sanction dating back to the Crimea secession in 2014. Which means that Russia’s response has to be more than symbolic. “There are a number of measures that it can implement to hurt the US rather badly. One is a cut-off of delivery of Russian made rocket engines used in the US space program,” he said. But Doctorow and Vladimir Vasiliev, from Moscow’s Institute for US and Canadian Studies, each agree that Russia is more likely to take a wait-and-see approach than to try to get the first shot in. “A lot will depend on the US sanctions, which have not been thought through. Politics dominates economics in this area; they’ve been announced, but Commerce Department officials are now frantically scrambling to create an actual sanctions packet in time for August 22,” Vasiliev said, adding that the impact on trade for both sides could be so severe, Russia may choose not to exacerbate the effect. Yet the experts believe that a more practical response would be asymmetrical. Rather than punishing the US, which exported a paltry $7 billion of goods to Russia last year, economically, Moscow could exact a political revenge, in areas where Washington is much more dependent on its goodwill – not least in Syria, where both countries are entangled and Moscow has the upper hand. “There are actions to directly counter US sanctions directed against other countries, such as Iran and North Korea. Russia can stop cooperating with the US and, indeed, go over to the other side, which would be quite destructive of US foreign policy,” suggests Doctorow. Alternatively, Moscow could simply bypass sanctions by strengthening its other relationships. Vasiliev suggests greater cooperation with Europe, which is reliant on Russian energy exports and, due to its geographic and economic position, “offers greater opportunities” for its easternmost state. David Kotz, professor of economics at the University of Massachusetts, Amherst, suggests looking instead to the east. “The US has been angering a lot of countries around the world over trade and that should make it easier for Moscow to find allies on the economic front. First of all, China. Now the two countries have even more grounds to work together,” said Kotz. Although in geopolitical terms China and Russia, with their complementary economic strengths, have always seemed like a natural fit; the relationship between Vladimir Putin and Xi Jinping, much warmer than that of their predecessors, could lead to a more full-hearted economic alliance. For all the counter-strategies the Kremlin will deploy, Kotz believes Russia will not emerge unscathed from the latest tension spiral, largely as the West will continue to back Washington over their personal dislike of Donald Trump’s White House. “Russia could try to gain the support of other countries, but unfortunately the United States has a lot of power to bully other countries into following its policies,” he said to RT. 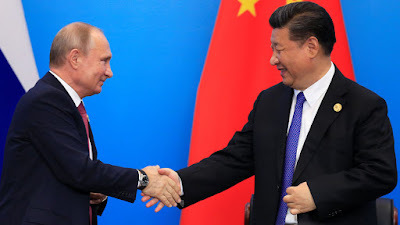 Other experts agree that, at least in pure money terms, as the smaller economy struggling with sluggish growth and dependent on exports, Russia is more vulnerable in any sustained and intensive economic stand-off. “Of course, Russia will be hurt, but I think that the unintended consequences for America will be just as bad. When you take a step back you realize that much of the world looks at Washington’s unilateral actions as being outside the law, outside of accountability, and a very dangerous precedent,” said Paul Goncharoff from the Independent Directors Association of Russia.